Cheese spreads and bread is something you will find staple in Filipino households. For moms like me, cheese sandwiches are tfor a quick bite breakfast or for fun snack times for kids. The little one do love biting into that creamy, rich texture that the best cheese spreads offer. 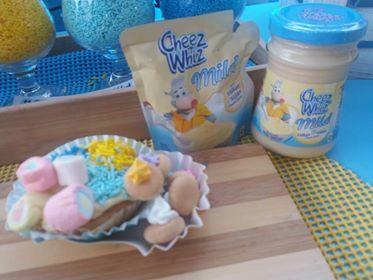 Cheez Whiz is the number one cheese spread brand in the Philippines and they understand what moms and kids are looking for in whipping up aa hearty fill of sandwich spread. Cheez Whiz knows how important it is to make snacking fun, nutritious and inventive all at the same time. Hence, it came up with a milder and milkier way to enjoy cheese spread: with the all New Cheez Whiz Mild. 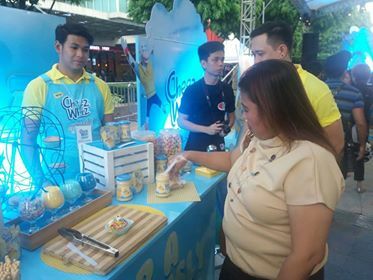 Last September 19, the new milder and milkier Cheez Whiz Mild was launched. 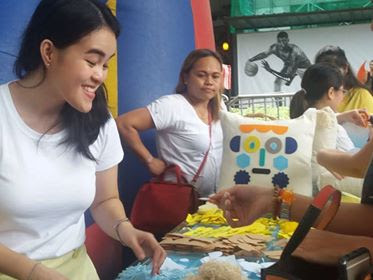 Guests, the media, and influencers joined in the activity together with their kids. 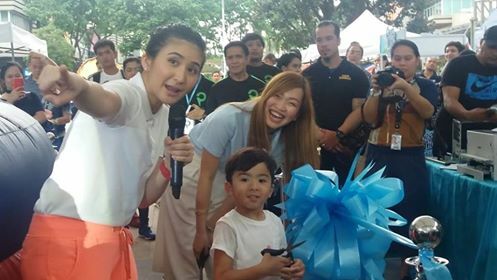 All gathered to experience a deliciously mild world through activities and with a program hosted by Dimples Romana and Cheez Whiz Mild mother-and-son ambassador Rica Peralejo and Philip Bonifacio. Each one designed their own pillows in the Pillow Art booth, created their own snacks using Cheese Whiz Mild in the CHEESEvention booth, posed for the camera and came up with a personalized flip book, and jumped around in the gigantic inflatable. “Mondelez Philippines, the maker of Cheez Whiz Mild, aims to be the best snacking company in the country. To do this, we continue to work in providing consumers with exciting flavors and provide new taste experiences for Filipinos. We are always listening to consumers and we have found that Moms and their kids also want to experience a different cheese taste, something milder and tastes milkier. 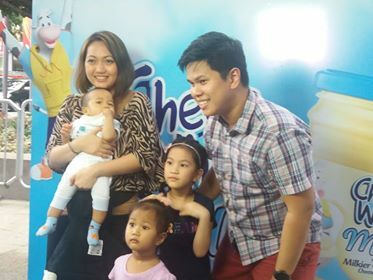 Thus, Cheez Whiz Mild was born”, says Rachelle Virate, Cheez Whiz Brand Manager. Now available at all leading groceries, Cheez Whiz Mild comes in a 220g jar for only P83.00 and in 62g sachets for P25.75 each. Do visit Cheez Whiz on Facebook and Instagram to know more.